A Tbilisi court sentenced Saakashvili to three years in prison. Georgia will send a request to Poland for the extradition of its former President Mikheil Saakashvili, who was expelled from Ukraine on February 12, 2018. "If Saakashvili settles in Poland and moves there, the request will be sent there," Georgian MP Alexander Kantaria said, the news portal Georgia Online reported. Read alsoSaakashvili asks for help from EU, MerkelAt the same time, he recalled that a court in Georgia had passed a verdict against Saakashvili. "He is not a suspect, the trial took place and there was a verdict. And, of course, they are waiting for him here," Kantaria said. As UNIAN reported, on January 5, 2018, Tbilisi's city court found Saakashvili guilty of "malicious abuse of power" as Georgian president and sentenced him to three years in prison. Saakashvili called the verdict of the Tbilisi court unlawful and contrary to international, national laws and common sense. On Monday, February 12, Saakashvili was detained by the State Border Guard Service of Ukraine in a Kyiv restaurant and sent back to Poland from where he had arrived in Ukraine. 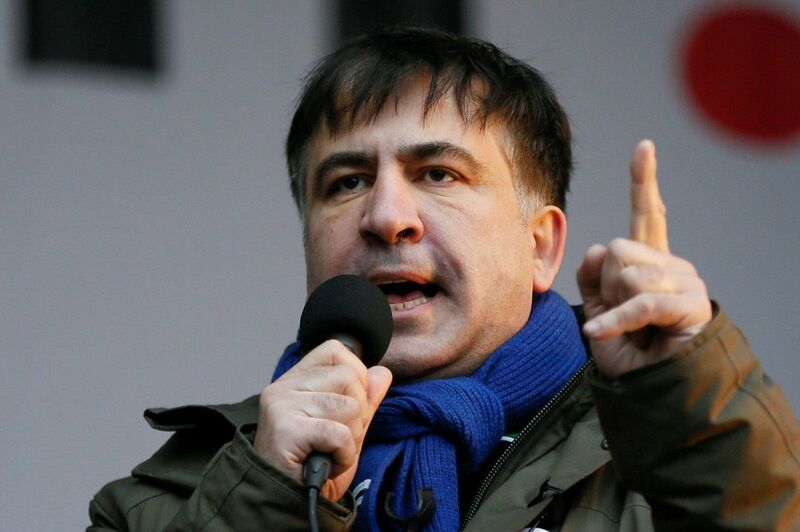 The Ukrainian authorities claim Saakashvili's arrival was illegal.